Green, Blue and You expands on the themes already explored by Marco Basta (*1985 Milan) in the previous exhibition Rainy Days, presented in 2012 in the spaces of the gallery in Milan. The Green and Blue mentioned in the title are the main tones of the works in the show, but also refer to different moods, ranging from great serenity to melancholy. Here we can already glimpse the ambiguity that lies behind Basta’s poetics: a title that offers a possible key of interpretation, but at the same time opens the way to other directions and readings. Delving deeper into the works on show, one of the artist’s leitmotifs is the image of a vase: an archaic, real but also always symbolic element, the mythological vessel of Pandora with hope hidden in its depths. 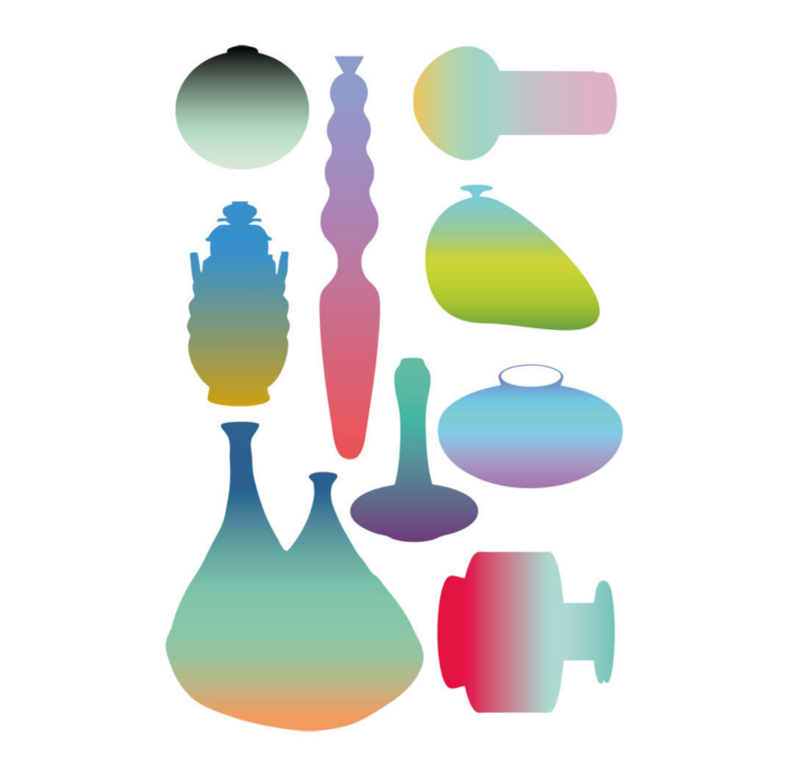 The form of the vase is determined by empty space, and as Alessandro Mendini puts it, “drawing a vase is like drawing a thought.” The fact that the void determines its shape, perfectly reflects the work of Marco Basta, in which there is a subtle shift between what is seen and what exists, where the perception moves from outside to inside, from visible to invisible. Vases are seen in the show both in pictorial form, where a slender graphic line indicates their elegant profile, and sculptural form, like the vase-column Genova. The latter is a reminder of medieval phytomorphic spiral columns, where nature – another constant in Basta’s research – manifests itself in an abstract form. Abstraction also comes into play in the large glazed ceramic sheets, where the random arrangement of the colored pigments can be seen as a landscape: Mississippi is a large blue abstraction that speaks of the delta of a river, or the memory of an atoll seen from above, with its shadings and variations, from the depth of the sea to the translucent surface of the water. The show is completed by a neon work, with more urban implications, but that, with its circular structure, evokes an embroidery made with the age-old bobbin lace technique, in which a continuous line gives rise to a design: an attempt to grant form to the void, just as in the vases. The circle closes, leaving a constellation of hypotheses, memories and allusions, sometimes clarified by the titles of the works, sometimes left suspended in a rarified, silent atmosphere.